Today I awoke to the heartbreaking realization that I’m no longer in Budapest. The majestic city absolutely stole my heart, and now it hardly seems real that I was actually there, experiencing its magic firsthand. The entirety of the city captivated me – and I found myself constantly in awe of my resplendent surroundings. 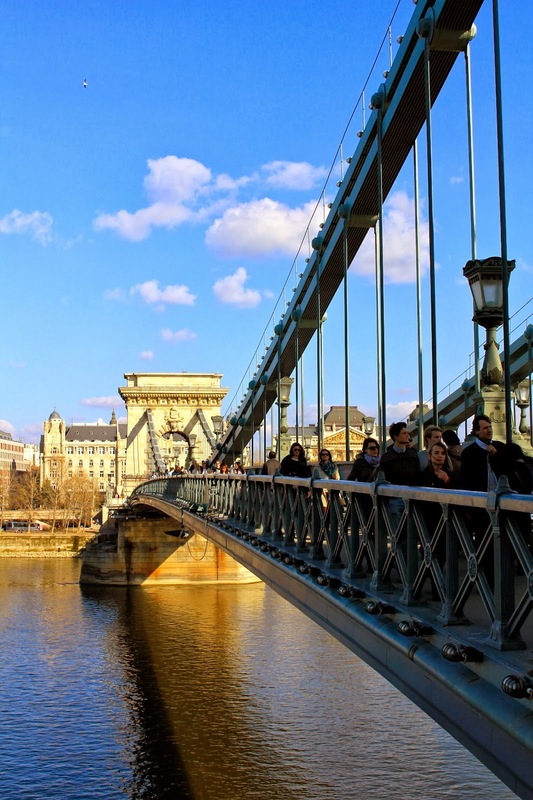 The twin cities of Buda and Pest are not only stunning, but they also possess enthralling personalities. While some parts are rough around the edges, others are purely exquisite. My favorite part about the architecture is the juxtaposition between the stately pastel colored buildings that look like decorative Easter eggs, and the ominous dark buildings that look like victims of a ravenous fire long ago. While many of the sights and notable landmarks were built in 1896 for the city’s millennial celebration, to me the entire city felt extraordinarily old. I could almost picture myself stepping back in time and experiencing the antiquated Budapest that once was. Budapest has gone through a markedly tumultuous history, yet has come out more regal than ever. We saw one of the most harrowing snapshots of Budapest’s history when we visited the House of Terror, a museum in the former headquarters and torture site of the Nazi and communist secret police. The city has seen its fair share of heartbreak, and while its days of Soviet occupation ended long ago, there are still some vaguely reminiscent traces of its communist past. Even riding on the metro, with its vintage leather handles on the ceiling, charmingly outdated stations, and archaic recordings that announced the upcoming stops and closing of the rickety doors, made me feel like I had transported myself back to the 1960s. 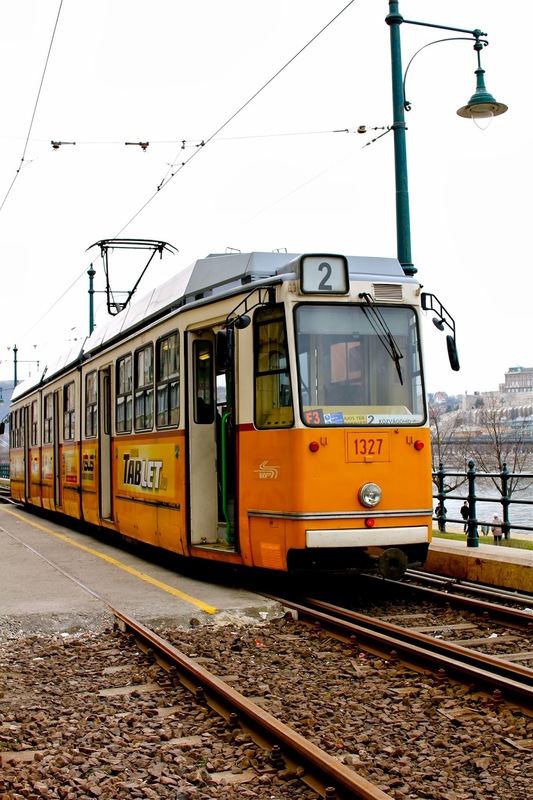 Though I was never alive to experience the 60s myself, riding on Budapest’s public transportation evoked an enigmatic nostalgia. Nevertheless, Budapest has gracefully transitioned into a remarkably elegant city that nods to both its former greatness and turbulent history. If I could describe the city in one word, it would be “regal”. I was completely entranced by how majestic the city was. At times I felt as if I were living in a fairytale, which makes coming home and reminiscing about my trip that much more surreal. “Did that really happen?” I ask myself every two minutes as I daydream about wandering through the colorful hills of Buda, crossing the magnificent Chain Bridge, getting lost within the vibrant Great Market Hall, and soaking for hours in the famous Széchenyi thermal baths. 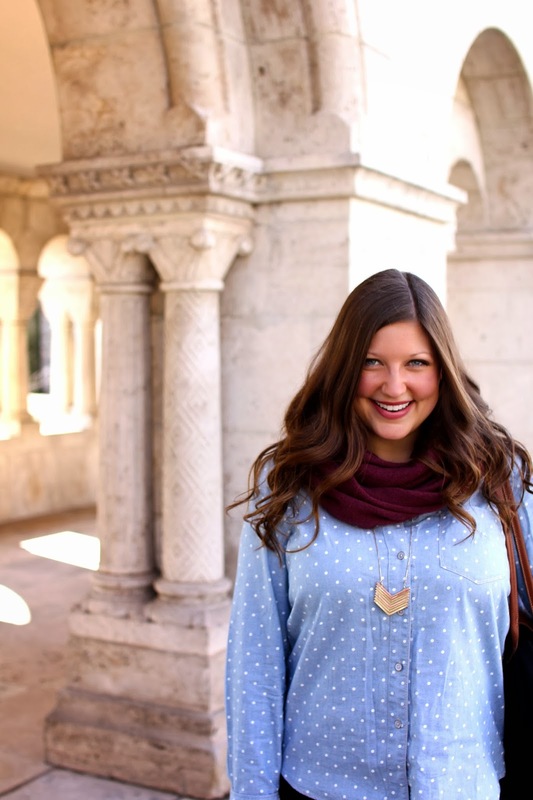 One of my favorite moments of the trip was when were atop the Fisherman’s Bastion – one of the highest lookout towers in Buda – sipping steamy mulled wine in the sunshine and admiring the breathtaking views of Pest. As we were gazing out upon the Danube, Parliament, Chain Bridge and St. István’s Basilica, a nearby musician was playing cheerful classical tunes for the crowds below. Suddenly, the clock struck noon, and all of the bells in the city started chiming at the same time. The bells rang from every which direction, and we fell silent to witness the enchanting scene before us. In that moment I felt so present, so fully immersed in the magic of the moment, that all I could feel was pure joy. As I soaked in every detail of our surroundings, happiness radiated from every inch of my body. I felt so alive. Now I can’t shake the feeling that it was all just a splendid dream, a mere figment of my overactive imagination. If it weren’t for the hundreds of pictures that I took, I’d have a hard time believing that all of it was actually real. But I suppose the best part of it all is that despite my nostalgic reminiscing, Budapest was just as magical in the moment as it is now in my mind. Looks beautiful... that part of Europe hasn't ever really been in my top places to travel to but recently I'm thinking that needs to change! Budapest looks awesome! 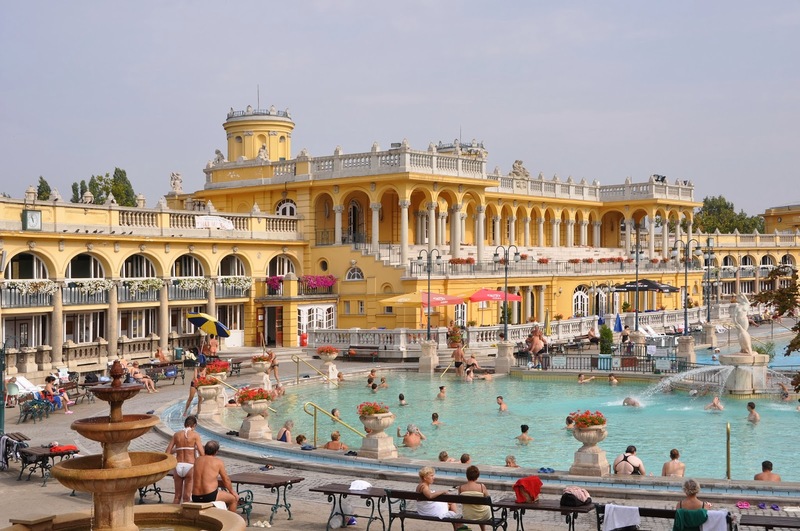 I'm hoping to visit a friend there this summer; I'm going to write down Széchenyi thermal baths as a place to check out! I'm going to Budapest at the end of March, and I'm even more excited now! I can't wait to explore the Great Market Hall especially. Beautiful photos. Budapest is captivating. I've been twice and was just in love the first time as the second! It really is a beautiful place isn't it?! I'm bummed we didn't make it to the House of Terror. Next time! There is so much history I still want to learn about. The second to last paragraph in this post - so beautifully written. And I understand that feeling completely. THAT is why we travel, right? Wonderful words and beautiful pictures as always, Courtney. Love you description and photos. I'm moving there in August and I can't wait!